The game is aged at 13+, so is considered not suitable for primary aged children. Here are a couple of links with more information. Our intention is to bring this to parents’ attention so they can be alerted to what their children may be accessing online. Please talk to your child about online activity; if your child is playing this game, talk to them and make sure you know what they are doing. Children at Longwell Green Primary School regularly use the Internet as part of their learning. 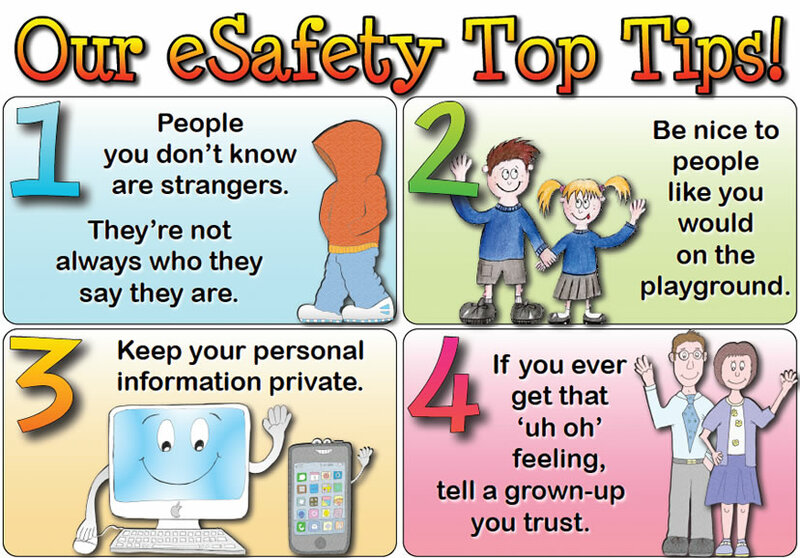 In school, we have regular e-safety activities and lessons to remind children of the importance of keeping themselves and others safe online. Explore e-safety sites– There are lots of links to useful e-safety sites for children at the bottom of this page. Why not browse through them with your children? Facebook / Instagram / etc– Many of these sites have a minimum age limit of 13, so pupils should not be using them. Keep your computer in a shared area– Talk to your child about what they are doing online and, if possible, set up your computer in a shared area at home so that you can all share in the wonderful sites that are available online. Regularly checking their phone/tablet – Regularly checking your child’s phone or tablet helps monitor their activities on devices that are often kept private. Think U Know (www.thinkuknow.co.uk ) – This site contains internet safety advice for those aged from 5 to 16, along with parents and teachers, this site is produced by CEOP (the Child Exploitation and Online Protection Centre). 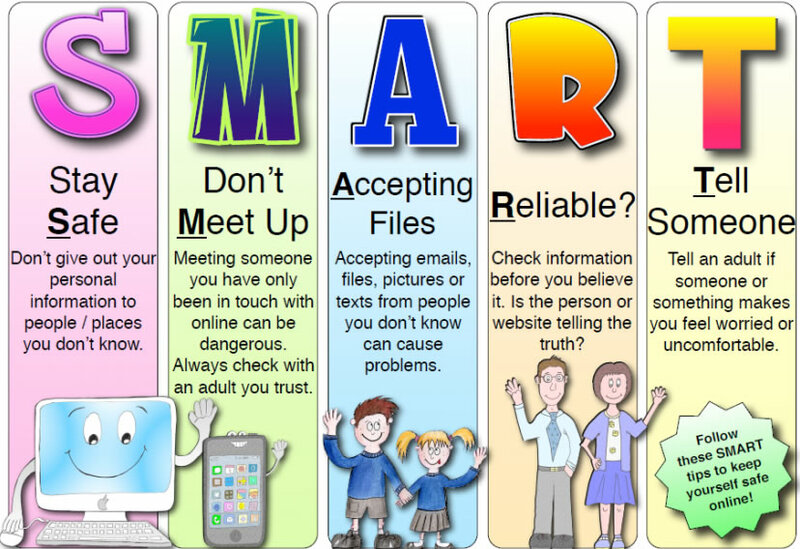 Kidsmart (www.kidsmart.org.uk) – An award-winning internet safety programme for children. Know IT All (www.childnet.com/resources/kia) – lots of useful advice for keeping yourselves and your children safe on the Internet. Bullying UK (www.bullying.co.uk) – Information and advice about bullying for children, parents and schools. ChildLine (www.childline.org.uk) – 0800 1111 for immediate support – Information on relationships, rights and other issues faced by young people .